This painting has no caption. Russell Jones identifies it as Rottingdean. 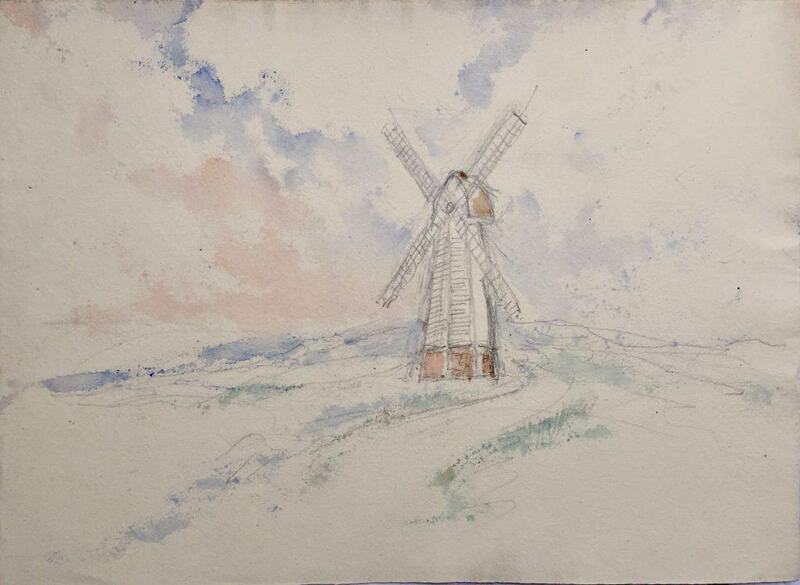 Beacon Mill, Rottingdean does have a one storey brick base, which fits with this painting. In later photographs the brick base is painted black.